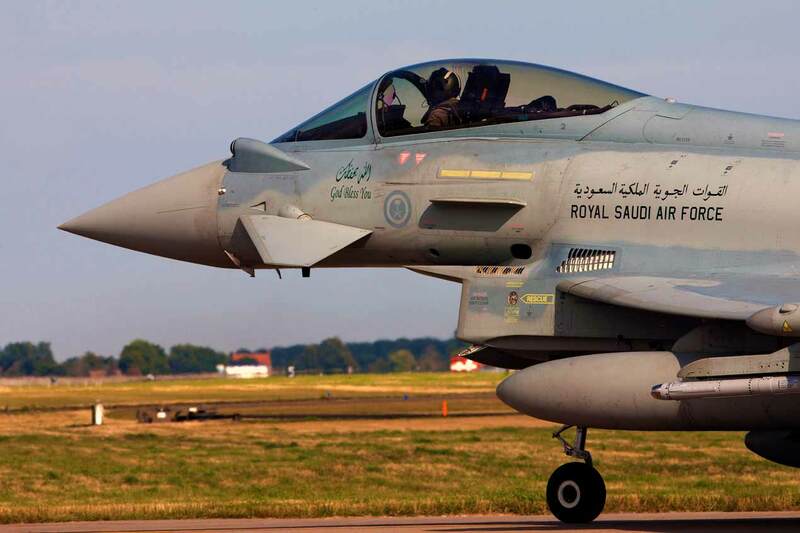 A Royal Saudi Air Force Typhoon fighter jet: Most of the kingdom's air power has been supplied by UK and US companies, but in the unmanned space, China is supplanting traditional suppliers. The UK and the US are the principal arms suppliers to Saudi Arabia, which is the second largest importer of weapons with a 7% global market share behind India (14%), according to the Stockholm International Peace Research insitute (SIPRI). According to the Campaign Against Arms Trade database, the UK has approved a total of £9 billion in export licenses for military equipment to Saudi Arabia. Licenses were approved for weapon sights, body armour, components for military and combat aircraft, military helmets, rifles and weapon sight mounts, miltiary comms and electronic warfare equipment. Increasingly, however, the Saudi government is sourcing weapon platforms from other countries. In the air domain, whilst Saudi Arabia has typically acquired helicopters (Apache, Bell and Huey) and fighter jets (Typhoon, Tornado, Eagle) from UK and US companies, when it comes to unmanned aerial vehicles (UAVs), Chinese manufacturers are making significant inroads into the Saudi market. 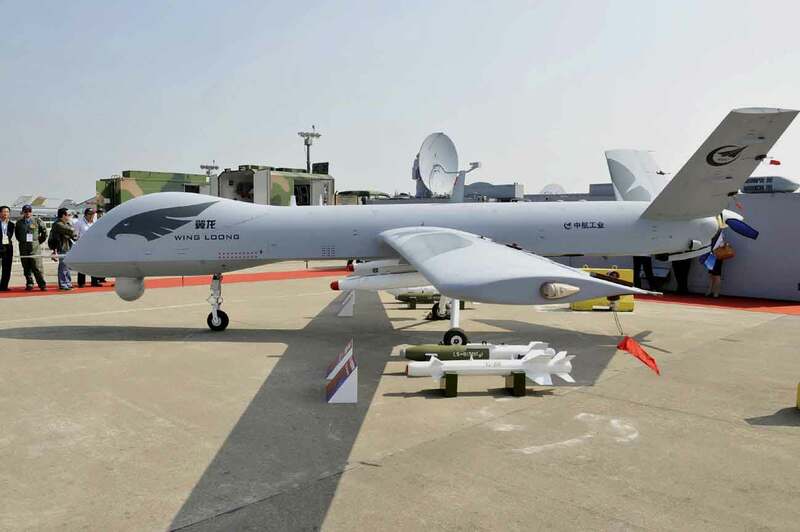 The Saudi Air Force is believed to have Gongji-I UAVs, whch are used by the Chinese Air Force for persistent surveillance and attack missions. Saudi Arabia was the first Arab country to purchase the Chinese Wing Loong (Pterodactyl) UAV, which can be armed with air-to-surface missiles and laser-guided bombs. The Wing Loong, which has a maximum altitude of 29,527 feet, endurance of 20 hours and payload capacity of 480 kg, is manufactured by Chengdu Aircraft Industry Group. Some reports suggest that Saudi Arabia already has experience of using the Chinese UAV in combat, presumably in Operation Restoring Hope against the Houthis in Yemen. 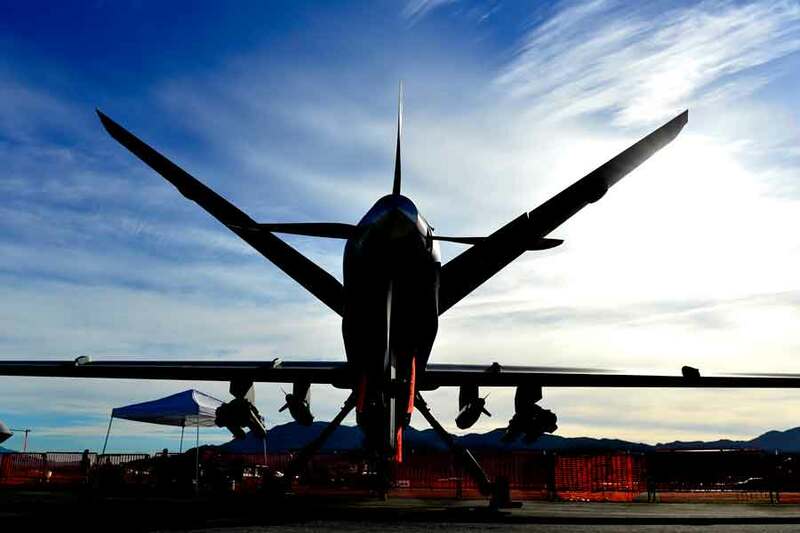 A number of the Chinese UAVs appear to be modelled on the Predator or Reaper medium-altitude long endurance (MALE) UAVs developed by companies such as General Atomics in the US. Although the Chinese UAV may not be as sophisticated as the US-made MALE UAVs, they are significantly cheaper; and countries do not need to ask China's permission to arm them. According to MarketWatch, for the price of one MQ-1 Predator, a country could buy four Wing Loong MALE UAVs. For the price of one US Predator MQ-1 UAV, countries like Saudi Arabia can purchase four of China's Wing Loong MALE UAVs pictured. As part of its ambitious Vision 2030 plan to grow non-oil revenues, Saudi Arabia wants more than 50% of military equipment to be "localised" by 2030 (currenly only 2% of equipment is sourced locally). The Saudis have already started developing spare parts, armoured vehicles and ammunition, but they want to expand localisation to the air domain as well. One could argue that there are other reasons, beyond economic diverification, that explains why the Saudis are so keen to develop an indigenous defence industry. There is growing pressure in countries like the UK to reduce arms sales to the kingdom of Saudi Arabia out of concern that these weapons are causing large numbers of civilian deaths and casualties in theatres such as Yemen. US arms sales to Saudi Arabia have also been shrouded in controversy. In May 1986 the US Senate voted against President Ronald Reagan's plan to sell the Saudis $354 million worth of missiles. However, US president Donald Trump recently approved arms sales to Saudi Arabia and Bahrain. The sales were blocked by his predecessor, Barack Obama, however Trump sees Saudi Arabia as a vital ally in the fight against ISIL or Daesh and to act as a counter against Iran. 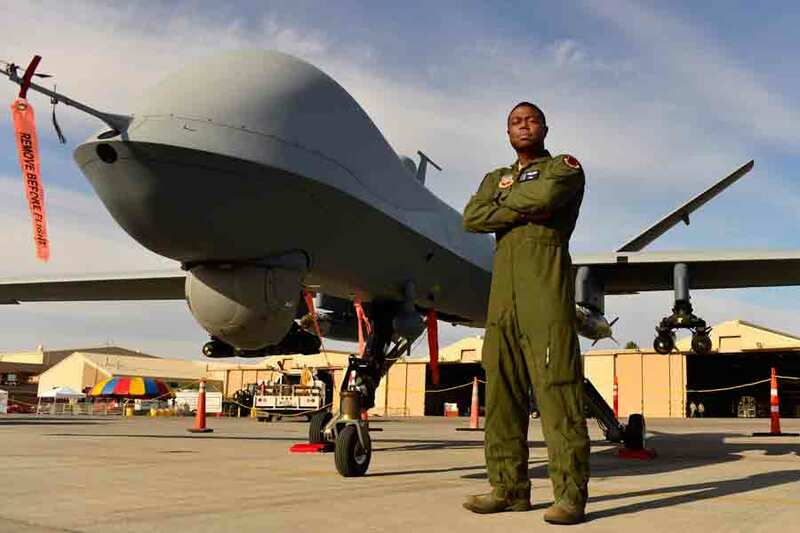 Before he left office, Obama instituted The Joint Declaration on the Export and Subsequent Use of Armed or Strike-Enabled Unmanned Aerial Vehicles (UAVs). The policy, which has been signed by 48 nations, including the UK, talks about the “responsible use” of armed drones, but does not clearly define what that entails other than specifying that drones are subject to international law. International Traffic in Arms Regulations (ITAR) also limit what US defence equipment manufacturers can export to their allies, however some analyts believe President Trump may try and relax some of these restrictions in order to encourage greater trade in arms with key countries. Given these political developments and the growing ethical and moral debate in the west about arms sales to Middle Eastern countries such as Saudi Arabia, it is not surprising that the kingdom is turning to new suppliers such as China. That relationship has been bolstered by reports that the China Aerospace Science and Technology Corporation will build a factory in Saudi Arabia to help with the local manufacturing of combat UAVs. It is believed that UAVs developed by the factory will be used in both the civilian and military sectors and be sold to other countries in the region. Despite the emergence of China as an exporter of MALE UAV technology, Israel and the US are likely to remain the largest exporters of UAVs for some time to come (Israel has a more than 60% global market share, compared to a meagre 0.9% share for China). However, the concern for the west is that as armed UAVs proliferate, they could end up in the hands of countries that may be less concerned with using them 'responsibly' and challenge the balance of military power and technological superiority, which historically has resided in the west's hands. "Western military technological superiority, once taken for granted, is increasingly challenged," said Dr John Chapman, director-general and CEO of the IISS in London. "We now judge that in some capability areas, particularly in the air domain, China appears to be reaching near-parity with the west. Also, Beijing is now beginning to offer for export some of its modern military systems. Across the globe advanced military capabilities are spreading."